La Calcinara Agricultural Company was founded in 1997 in Contrada Calcinara di Candia. It all started from the initiative of Mario Berluti, an expert in the wine sector, who identified the composition of the hills of Candia as an excellent place for the development of the vine. Therefore, in 1999 in the 20 hectares of property the first 4 hectares of Montepulciano grapes were planted with spurred cordon. 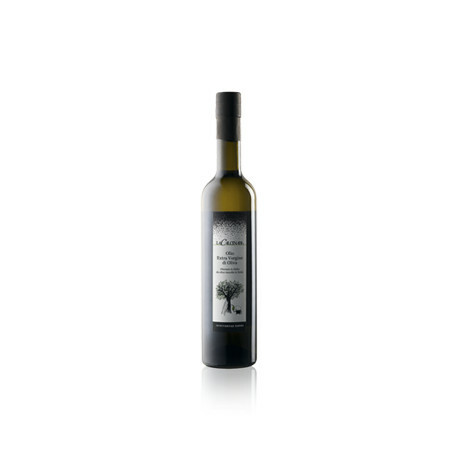 After a while the vineyards have been expanded reaching the total of 9 hectares and also from the 4 hectares of olive grove the first monovarietal oil has been produced. The whole family take part in the entire production cycle, from the pruning of the vines to the harvesting of the grapes in small crates, from aging in oak barrels to the marketing of wine.